Dr. Michael Tornow is committed to the prevention of dental cavities, which is the foundation for a healthy and beautiful smile. Preventative dentistry in Kirtland is crucial for keeping your smile bright and free of dental cavities. There are some places, however, where enamel damage can occur even with dedicated oral hygiene. What is Preventative Dentistry in Kirtland? 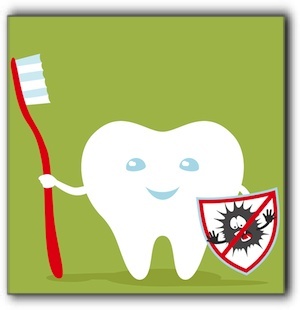 While brushing frequently is essential, an additional safeguard against cavities is the application of dental sealants. Dental sealants, part of preventative dentistry in Kirtland, are a plastic barrier that our team can apply to your teeth. The sealants are placed over the top of each tooth, to prohibit bacteria and plaque having direct contact with the tooth. Many Farmington parents obtain sealants for their children and teens, and many adults in the Farmington area are having them applied to help fight cavities and protect enamel. After sealants are applied, they will be examined at each visit and reapplied as necessary. Sealants are relatively inexpensive initially and downright cheap when you consider the cost of filling cavities and restorative services that may be necessary for the future. Sealants may be the best investment you ever make in your child’s smile. People all over the Farmington area trust Sundance Dental & Orthodontics in Farmington for their family’s dental care. dentist Tornow, DDS, specializes in dental implants, orthodontics, and IV sedation dentistry. Call today for an appointment at 505-326-6800 and trust the high-tech team at Sundance Dental & Orthodontics to help keep you smiling.